Sleep a decade back can’t be compared to sleep in today’s world. Technology and fashion keep on changing so fast that at times it’s frankly quite difficult to keep up, at least for me that’s the case. All this change is solely for one purpose – to improve the quality of our sleep! From my personal experience, I have benefitted a great deal from the new trends. We spend approximately a 1/3 of our lives in bed; I think it’s prudent to invest in our sleep. Give yourself the best to ensure that you perform optimally when awake and importantly, take care of your health. So, how can you sleep in style this season? Sleeping masks have been around for a while now. However, the sleeping mask then and the sleeping mask now are two entirely different things. The new masks are fitted with technology that monitors a couple of body functions. I know it sounds unreal, but it’s legit. It checks your brain waves, detects REM sleep, and measures your pulse and temperature, among other factors. Get yourself the latest sleeping masks, and you’re in style. What Quality is Your Mattress Cover? We all thought traditional cotton was the way to go for mattress covers, but startups are proving otherwise. They are manufacturing fabrics that are perfect for the ideal mattress cover – they don’t get too hot or too cold. This helps you get a good night’s sleep free from temperature fluctuation problems. Be in style by getting the right cover for your mattress. Reading reviews is important and I stumble upon Try Mattress that offers tips that can guide you when picking out the most suitable mattress for you and other factors to consider to achieve high-quality sleep. What Mattress Are You Using? The type and quality of mattress that you sleep on speak volumes about your fashion sense. An old saggy mattress is definitely not a fashionable thing. Sleep in style by getting yourself a mattress that not only compliments your sleeping style but also radiates comfort and prestige. Memory foam mattresses are quite ideal and if possible, make it King size. Is Your Bed a Smart Bed? 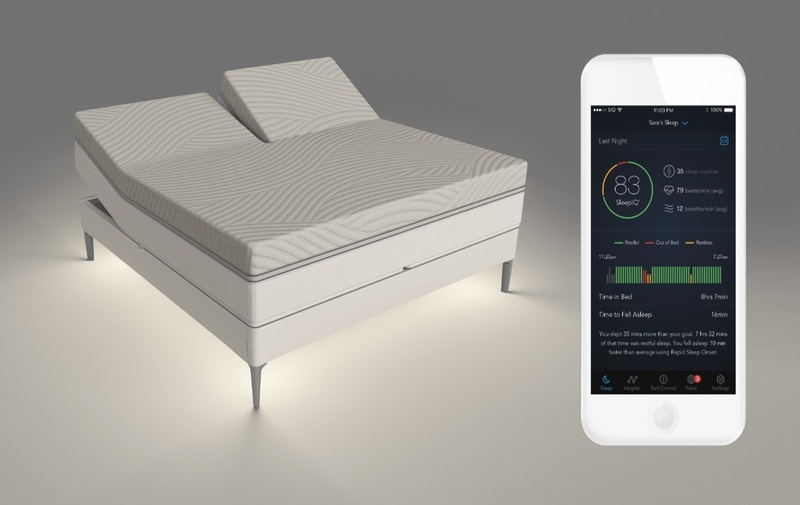 The 2017 Consumer Electronics and Consumer Technology tradeshow (CES) saw a new class of smart beds being introduced to the market. These beds are quite honestly revolutionizing sleep as we know it. No better way to sleep in style than to get one! Sleep salons are a big thing in modern cities where work becomes too involving that we forget the essential thing – to sleep. They are spas that charge per minute for you to enjoy high-quality sleep. Your pajamas are a big part of your sleep. An old t-shirt just doesn’t fit sleeping in style. Get yourself cute jammies, and ensure that they are moisture wicking to cool you off when it gets too hot. Sleep is central in today’s society such that sleep retreats are available. Luxury hotels are offering sleep retreats which include dinner and a movie! They say “get your beauty sleep.” You require approximately eight hours of uninterrupted high-quality sleep every single day to ensure that you stay healthy and beautiful. Look at the quality of the fabrics used in your beddings. Your blankets and sheets need to be made of a material that will not get too hot or cold during the night disrupting your sleep. Create the perfect mood for you to enjoy sleep, find the right ambiance. Dim lights, no electronics, and mind the food that you have before bed. Sleeping in style today not only makes you fashionable but also ensures that you mind your health. So, sleep in style with the above ten tips!